Last year Bandai Namco took fighting and RPG fans by surprise by announcing Final Fantasy XV’s Noctis would be joining the Tekken 7 roster. That was over four months ago, which a long wait for a single new character – thankfully, Bandai Namco has revealed Noctis will finally be released next week. You can check out a new Noctis gameplay trailer, below. 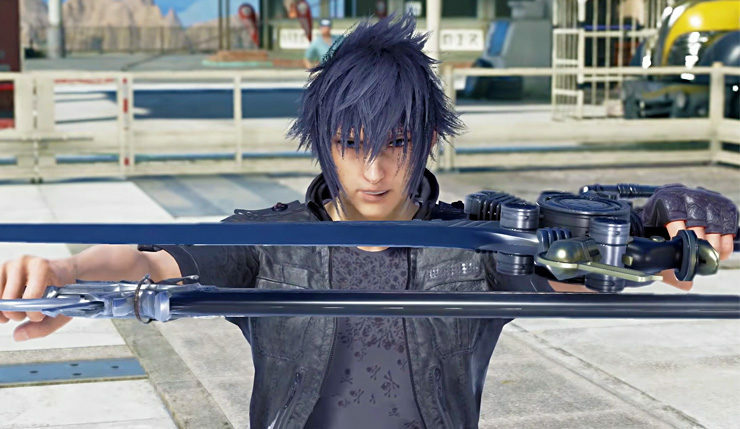 In addition to Noctis himself, the DLC will include new background music (Stand Your Ground and Apocalypsis Noctis Remix), five alternate outfits (Casual Style, Royal Raiment, Choco-Mog Style, Fighting King’s Raiment, and the Kingly Raiment) and a new stage, Hammerhead, based on Cid and Cindy’s service station hub from the early part of Final Fantasy XV. Oh, and don’t worry, Noctis will be a playable character in Ultimate Tekken Bowl. Not a bad collection of goodies. As for Noctis’ fighting style, it looks like he’ll be a flashy, versatile option. Honestly, given his use of the Engine Blade and magic, he kind of feels more like a SoulCalibur fighter, but hey, Tekken has always taken on all comers. His sword, magic, and teleport ability is sure to give him great range and mobility, and ought to make him a good choice for players who like to stick and move. Noctis is Tekken 7’s third guest character, following Street Fighter’s Akuma and King of Fighter’s Geese Howard. Bandai Namco hasn’t announced pricing for Noctis, but the Geese Howard update cost $8, so you can expect it to be in line with that. Tekken 7’s Noctis Lucis Caelum DLC pack will be unleashed on PC, Xbox One, and PS4 on March 20. What are your thoughts? Eager to try out Noctis? Do you think he’s a good fit for the Tekken universe? What other guest characters would you like to see added to Tekken 7?